The 80s are long gone and with them certain trends survived but others did not. Look at cars! Even a novice driver may find themselves able to pick out a car from the 1980s easily. One car that was seemingly only popular from this era was the car-based pickup. Back in 1987 the last model of the Chevrolet El Camino already put that segment to rest. However today on ShopTalk we are looking at its far superior competitor: the Dodge Rampage. What Was the Dodge Rampage? At the time, the Dodge Rampage was seen as the sportier alternative to the El Camino. 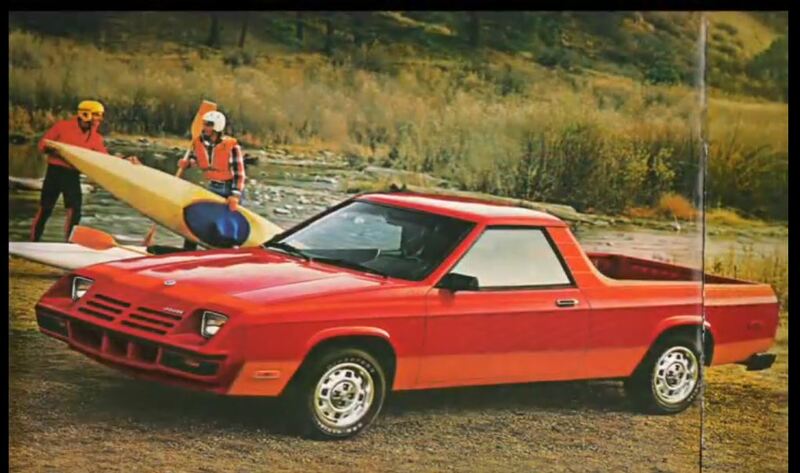 However, Dodge also set their sights on Volkswagen’s Rabbit pickup and Subaru’s Brat. Both of those cars have a notable following among gearheads but the truth is that sales-wise neither were able to compete with Dodge or Chevy. The Rampage was a front wheel drive light-truck, which made it an anomaly. Its platform was based on Chrysler’s front-wheel-drive L-body/Back then you could find that platform on the Chrysler Omni and Horizon, the 024 and TC3 sport coupes, and also the Dodge Charger. Its unique truck bed required that the Rampage’s wheelbase was stretched a few inches longer than Dodge’s longest coupe at 104 inches. As a result, the rear suspension required leaf springs with tubular rear axle. The innovative shock absorbers can hold 1000 pounds. The engine itself gave Dodge the ability to tow 750 pounds. The Rampage utilizes Chrysler’s 2.2-liter four-cylinder engine. In terms of transmission you could opt for either the manual or automatic transmission. Sadly that only added up to about a 100-hp light truck. And it took a whole 16 seconds to go from 0 to 60. However, it was a remarkably fuel efficient car at 25 miles per gallon city/40 miles per gallon highway. Inside was built a lot like a sports coupe. It had bucket seats and a sports steering wheel. Behind the row of seats was a full package shelf for quick storage. Sadly the life of the rampage was cut pretty short. Production on the light truck was brought to an end in 1984, 2 years total. It seems that your typical light-truck buyers never quite took to the car whether they added the optional turbocharger or not. However it’s not like the car was a total dud: the automotive industry press was fans! The Rampage’s most direct competition besides the El Camino was the Falcon and all three of those cars have a solid cult following. They are easy to find and affordable too. Close to 37,000 Rampages were sold during its three-model-year run.